The new smart edition white and edition black are available to order from just £12,360 OTR for the smart fortwo (£12,855 for the smart forfour). First deliveries will arrive in the UK in late February. Based on the already well-equipped prime trim line (which includes features such as heated leather seats), the special-edition models add the Urban Style and the Premium packages as standard. These include: three-spoke sports steering wheel with perforated leather; brushed stainless steel sports pedals with rubber studs; 16-inch Y-spoke-alloy wheels in black; exhaust system with chrome-plated tailpipe; wheel-arch extensions with smart lettering; comfort package (consisting of: height adjustable steering wheel; height adjustable driver’s seat; heated and electrically adjustable exterior mirrors); rear parking assistance and smart media system including European satellite navigation. Forfour models also come with privacy glass in the rear. The fortwo special editions come with over £1,500-worth of extra equipment – for only £895– resulting in a customer saving of over £600. The forfour offers £1,660-worth of features (adding rear privacy glass), giving customers over £760-worth of extra value. The edition white models feature white tridion cells, combined with white body panels and a white grille, making them instantly recognisable as special-edition smarts. 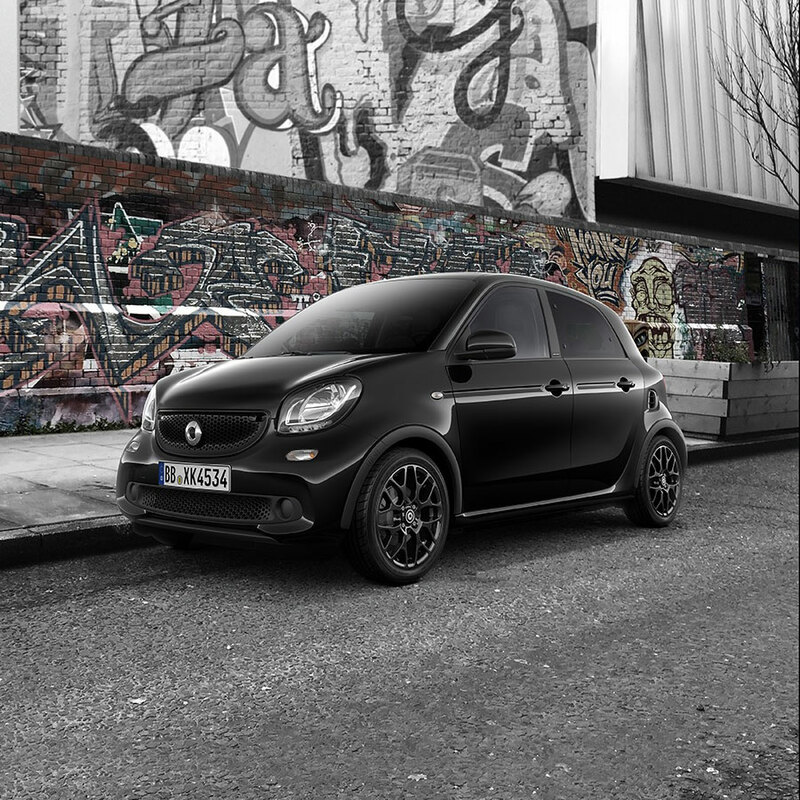 As you’d expect, edition black models come with black bodywork, black tridion cells and a black grille – although customers can opt for a white tridion cell (£100). 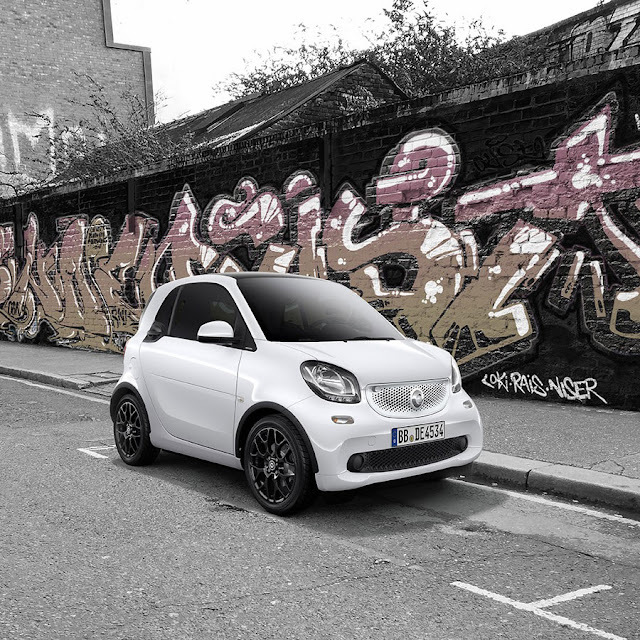 As with the rest of the smart range, the edition white and edition black models can be ordered with either a 71 hp naturally-aspirated or 90 hp turbo three-cylinder petrol engine, and with a five-speed manual or six-speed twinamic automatic gearbox.